Rob Skinner of our Criminal Department considers the importance of time limits in relation to motoring offences. If you receive a summons or postal requisition or Notice of Intended Prosecution in relation to a motoring offence, it is important to know whether the Police have complied with certain statutory time limits. Section 1 of the Road Traffic Offenders Act 1988 provides that a person shall not be convicted of certain offences unless either he was warned at the time of the offence that he may be prosecuted for it or within 14 days of the commission of the offence, a summons or postal requisition was served on him or a notice of intended prosecution is served on either him or the keeper of the vehicle. Section 172 of the Road Traffic Act 1988 provides that a person keeping a vehicle shall give such information as to the identity of the driver as he may be required to give and that any other person shall, if required, give any information which it is in his power to give and may lead to the identification of the driver. If you are stopped by the Police and are not warned that you may be prosecuted for an offence, any postal requisition sent to you outside of the 14 day limit may not be valid. You may not be stopped by the Police at all but instead receive a Combined Notice of Intended Prosecution and Requirement to Provide Driver Details. This would happen for instance if an offence is captured on camera i.e. most speeding offences. This document satisfies the warning requirement imposed on the Police by Section 1 of the Road Traffic Offenders Act 1988 and makes the relevant requirement to provide driver details under Section 172 of the Road Traffic Act 1988. The notice will set out the particulars of the offence alleged, the location, time and date and will require you to confirm that you were either the driver on the occasion in question or to say who was. Failure to provide this information within 28 days is an offence in itself which carries mandatory endorsement with six penalty points. It is important therefore that this document is completed properly, by you, and that it is returned in time. In most cases this notice will have been served on you as the registered keeper of the vehicle and where it is, must it be served within 14 days. If you were not the driver and you nominate another person, that will trigger a further notice being sent to that person who may in turn nominate yet another and so on. It is important to note that the 14 day time limit applies only to the first such notice sent to the registered keeper and there are no similar time limits for service of notices on nominated persons. If you receive such a notice therefore because you were the driver of a hire vehicle for example, and the original notice was sent to the hire company as the registered keeper, the fact that you may then receive a notice well after the 14 day limit will not invalidate proceedings for the offence subject to any other time limits that may apply. Many motoring offences are summary only which means they can only be tried in a magistrates’ court. These are subject to an overall time limit within which to bring proceedings of six months. There are some statutory exceptions to this and this time limit may be extended for certain offences and in certain limited circumstances. Where a statutory time limit is not complied with, proceedings will be invalid. If you are the registered keeper of a vehicle, you should always complete and return any section 172 notice since even if it is served outside the 14 day time limit, that will only prevent proceedings being brought for the offence identified within it and not the offence of failing to complete and return the notice itself. If you are unsure how to respond to a section 172 notice or if you think a summons or postal requisition has been served out of time or if you would like to discuss any motoring offence, then please give us a call on 0121 704 3311 and speak to our motoring offence specialists Robert Skinner or Shaun Newey who will be happy to assist. 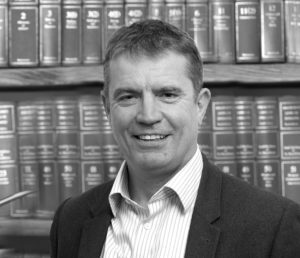 Charles Strachan Solicitors have a legal aid franchise and if your means are below a certain threshold and your case is serious or complex in nature, it may be possible to secure legal aid funding to defend your case.